This is a delicious cake. Cream butter and sugar together for 20 minutes. Add eggs, one at a time. Add flour and lemon extract. Fold in 7 Up. 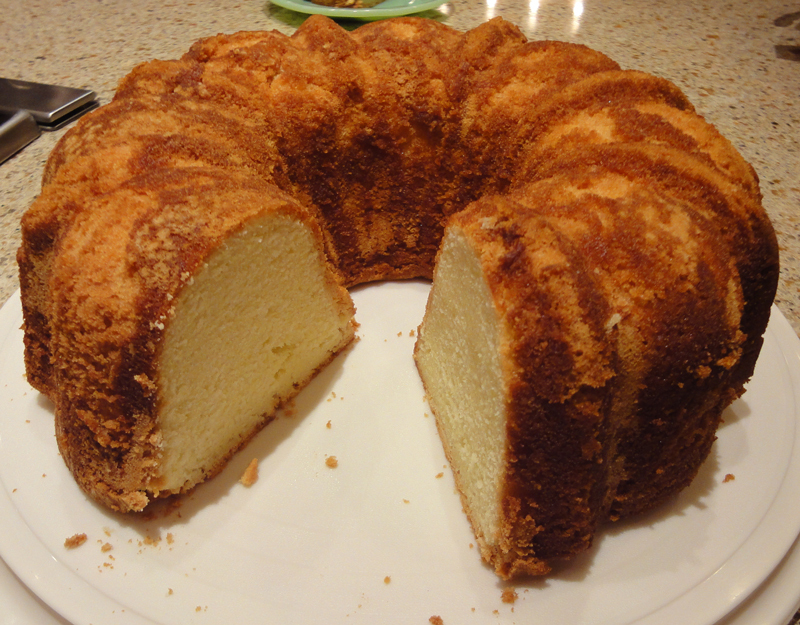 Pour into a well greased 12 cup Bundt Pan. Bake for 1 to 1 1/4 hours.